My Story: Starting to work out! 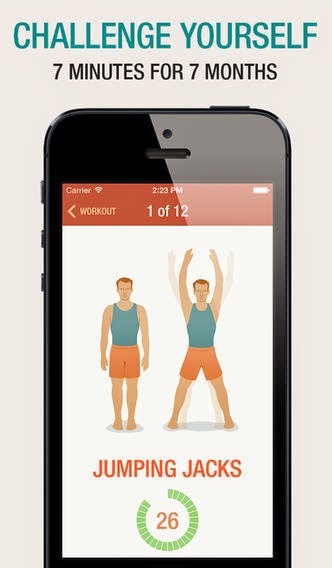 This is what the app looks like and there is a voice that motivates you or says how long you need to do that exercise. You can change your voice to a female voice or a male voice, whatever you prefer. If you want to know which exercises I sometimes do instead of the ones on the app, you can click here. I used some of these exercises to try to get a nice and lifted bottom. You want to check out those too? Click here. I hope I helped you a little bit. For those who are in a good shape, it's probably a useless post but for the ones like me, it might be a interesting post. Thanks for reading!